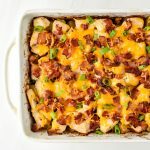 Weekly Meal Planner Bundles Announcement + A Giveaway! It’s an exciting day! I’m so thrilled (and nervous!!) to announce the launch of my Weekly Meal Planner Bundles! I use my laminated meal planner and dry erase pens every. single. week. So, I thought it was time to make it available to you! 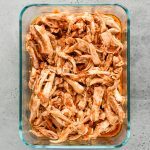 …about me and my relationship with meal planning: I never really meal planned or meal prepped until after I graduated college and lived on my own. And even then, I did not meal plan. It was more like this: Sometimes I would meal prep my week’s lunches on Sunday and feel really really proud of myself. That’s basically it. Did I remember to prep lunches every week? No. Did I plan any other meals or write anything down anywhere? Not even close. Skip ahead a couple years, and I actually start getting the Sunday Meal Prep lunches thing DOWN. At my office, it was kind of a thing about me – I brought my lunch almost every day. 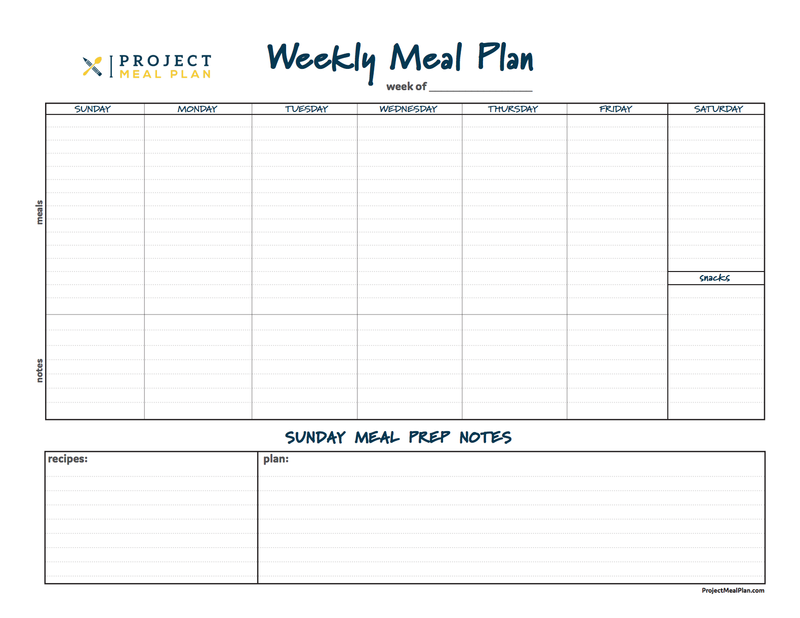 Skip even more ahead, and Project Meal Plan was born. But here’s the twist: I still wasn’t really MEAL PLANNING. I would find some recipes to work on for the week, make a mental list in my head that I convinced myself was a plan, and usually fail at keeping everything straight. November 2017: A real, but unsuccessful search for a meal planner I would actually use. December 2017: I designed MY OWN meal planner with everything I wanted it to have. 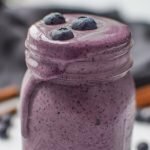 January 2018 – now: I use this meal planner every week and LOVE it, so I decided to share it with you! I saved time – Taking 30 or so minutes to plan ahead once a week can save that much time every single day. 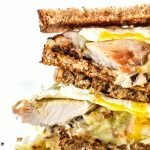 Think about it like this: Any time you have to run to the grocery store when you didn’t plan on it, stress over what to make for dinner tonight, or go out to lunch instead of grab your prepped meal from the fridge – these tasks all take extra time that can add up to a giant hole of “where did the time go” in your week. I saved money – yes, it’s that easy. 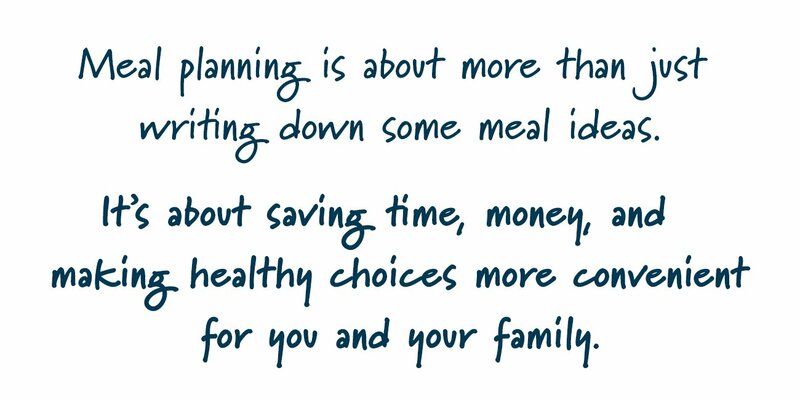 Since I started meal planning every week, I realized we’re saving more money than I can even really calculate: Extra trips to the store cost gas money. Letting extra food go to waste (even if it was unintentional) costs money. Eating out instead of cooking at home costs money. Buying food you don’t need costs money (particularly ready-made meals that you could totally make at home). 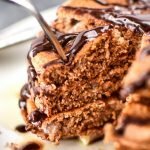 I try to avoid all of this with meal planning! I make healthier choices when I plan ahead. It goes like this: I plan something healthy, I buy only the ingredients I planned for, and then I make what I planned. When the unhealthy “backup options” aren’t there, I don’t reach for them. 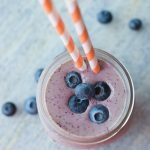 This doesn’t mean I don’t indulge – it just means that around 80% of the time, I PLAN to, and DO eat healthy. “Meal Prep” is way easier. When you can see the plan, it’s a lot easier to prepare for it. For example, If I’m already chopping on Sunday, I’ll look forward and help myself out with any Monday or Tuesday night ingredient prep too. I spent time designing a meal planner I would actually use. space to remind myself of healthy snack options – sometimes I forget when things are hidden in the fridge! note space for each day – I use this for things like reminding myself to thaw frozen meat, or noting any events that might impact the meal plan. undefined meal sections – I like less defining boxes and more space to write. the Sunday Meal Prep recipes and planning section to remind myself what I’m planning to prep ahead for the week. The bundle includes a regular (11 in. x 8 1/2 in.) or large (14 3/4 in. x 11 1/2 in.) 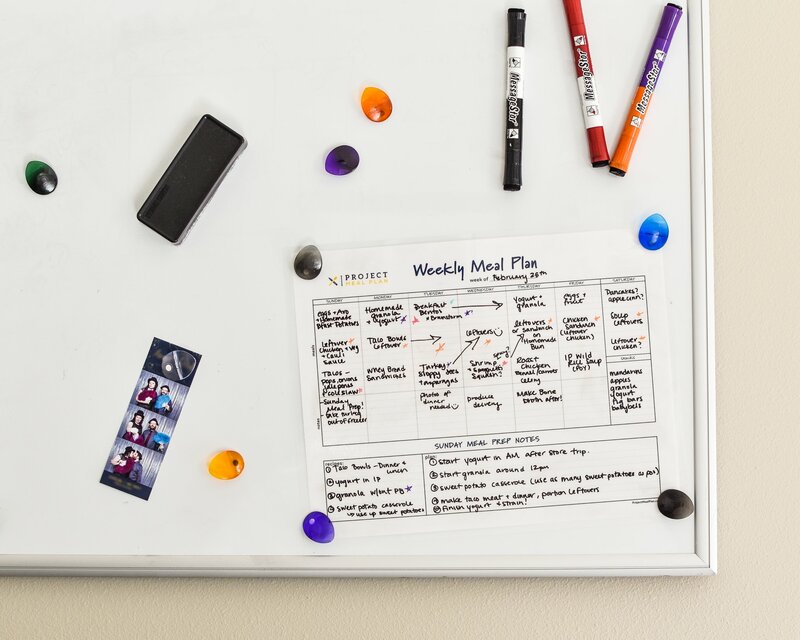 size laminated Weekly Meal Planner, with self-adhesive magnetic squares so you can attach the planner to your refrigerator or whiteboard. It also includes a Black Ultra Fine Tip Whiteboard Marker, perfect size for planning your meals on the meal planner. I ship in large cardboard envelopes and never roll or bend the meal planners. When and where can I buy? The pre-sale for the Weekly Meal Planner bundle will begin on Monday, March 19th. You’ll be able to purchase the bundle directly on Project Meal Plan (I’ll link it here when the pre-sale is live). The pre-sale will end on Monday, April 2nd. I’ll begin preparing and shipping the very first round of orders by April 9th. While you wait, you should enter the giveaway below to see if you can win a Weekly Meal Planner Bundle first! 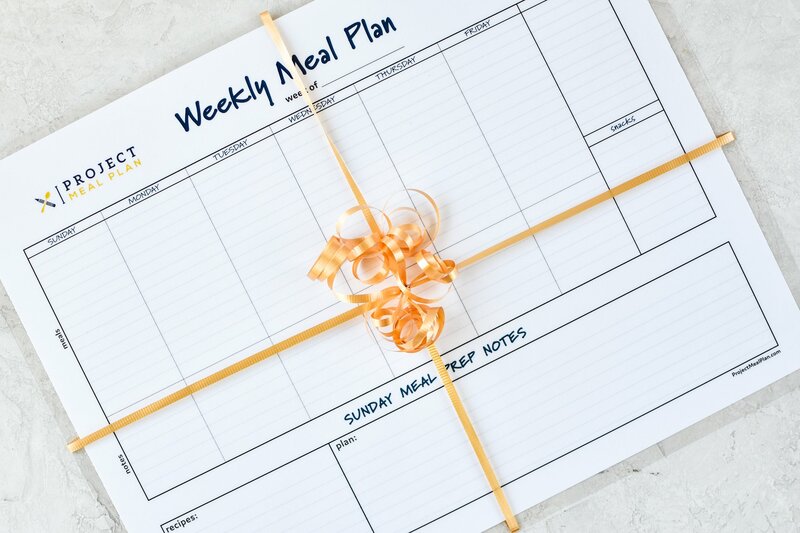 To celebrate the launch, I’m giving away a free Weekly Meal Planner Bundle with a large laminated meal planner, and a few extra colors of ultra fine tip dry erase markers! 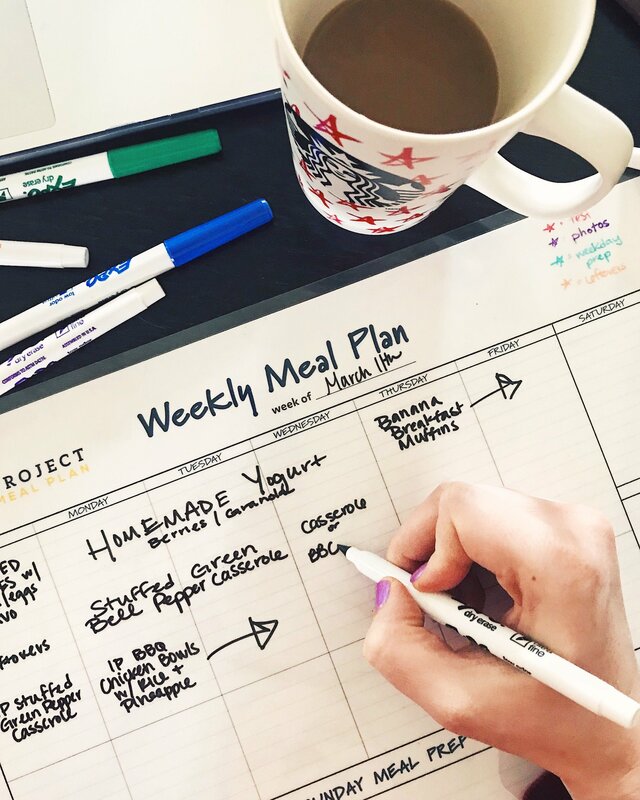 This is the EXACT same meal planner and dry erase pens I use for my own meal planning every week! To enter the giveaway, submit as many entries below as you can! This giveaway closes on Saturday, March 17th at 9PM PST. I’ll pick one winner by random! Giveaway limited to U.S. residents. If the winner does not respond within 48 hours, a new winner will be chosen. The winner’s first name will be posted here. I’m also giving away the very same thing on Instagram right now! You can enter by visiting the post below ⬇⬇⬇, following and tagging some friends!